Is Folic Acid Good for Men? Folic acid, or folate, is a B-complex vitamin known as vitamin B9. Folate can be found naturally in many different types of foods, while folic acid is what we find in supplements. Both provide you with vitamin B9, which is an important part of a healthy diet. Folic acid for men is just as important as folic acid for women. In addition, folic acid deficiency is associated with difficulty concentrating, exhaustion, heart palpitations, headaches, irritability and respiratory issues. Folate deficiency happens more easily than you might think. This is because this vitamin is water-soluble and leaves your body each time you urinate. It’s important to eat foods with folate or to take folic acid supplements regularly. The National Institutes of Health recommends that adults consume 400 micrograms of dietary folate per day. Folic acid can be found in a wide range of food products. You can find it in fruits, grains, meat and vegetables. The cereal you eat for breakfast is probably fortified with folic acid. In 1998, the U.S. Food and Drug Administration began requiring that cereal and grain products be supplemented with folic acid. Fruits and vegetables rich in folic acid include avocado, bananas, cantaloupe, papaya, asparagus, broccoli, lettuce and spinach. If you want to eat meat rich in folic acid, turn to beef liver. Three ounces of beef liver has 215 micrograms of folic acid per serving and is filled with many other beneficial vitamins and minerals. Folic acid is naturally found in many foods as folate and typically has no side effects. However, too much folic acid can become a problem. This is because folic acid isn't stored in the body and needs to be excreted each day. Consumption of too much folic acid means that your body may not be able to excrete it all. This can result in a detrimental buildup within your body. 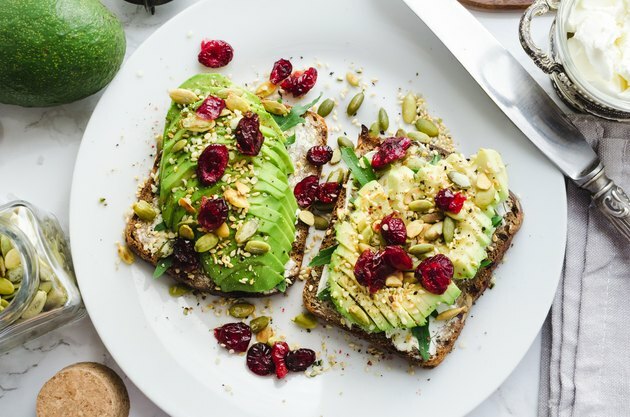 A 2016 study in the European Journal of Clinical Nutrition showed that too much folic acid can increase the risk of cancer, insulin resistance, liver problems and neurological conditions. An excess can even mask vitamin B12 deficiency. There's no need to take more than the recommended dietary amount of folic acid unless your doctor instructs you to do so.